Mr. Holt says that he just saw Paul Culbertson off to Berry by train. He also informs the recipient that his other cards are printed and will be mailed soon. 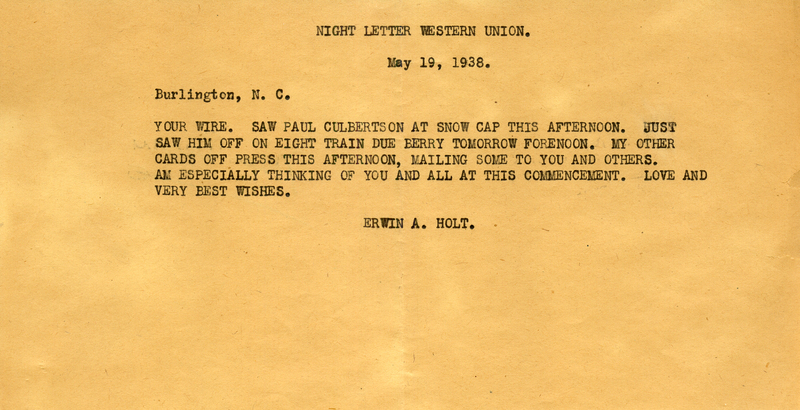 Erwin A. Holt, “Letter from Erwin A. Holt.” Martha Berry Digital Archive. Eds. Schlitz, Stephanie A., Cassie LaJeunesse, Jessica Hornbuckle, et al. 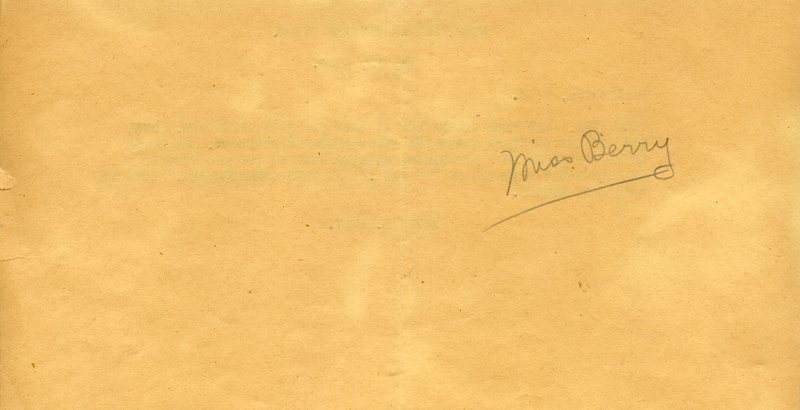 Mount Berry: Berry College, 2016. accessed April 19, 2019, https://mbda.berry.edu/items/show/14653.